- Join Tom Mohr, CEO of CEO Quest and Author of "Scaling the Revenue Engine"
Initially published online as a series of blogs, Scaling the Revenue Engine became an online sensation. To date it has garnered 12,000 online readers. It presents the revenue engine in a brand new way: as a whole system, bounded by unit economics. This revenue engine system stretches beyond marketing and sales to also incorporate product, technology and even accounting. At every stage of revenue engine growth, you uplift the maturity of your revenue engine by leveraging your deployment of people, tools, workflows and metrics-- always working outward from your source of customer value. As CEO of CEO Quest, Tom Mohr leads a team of 5 Managing Directors, providing advisory support to tech company CEOs. CEO Quest has offices in NY, LA, and the SF Bay Area. 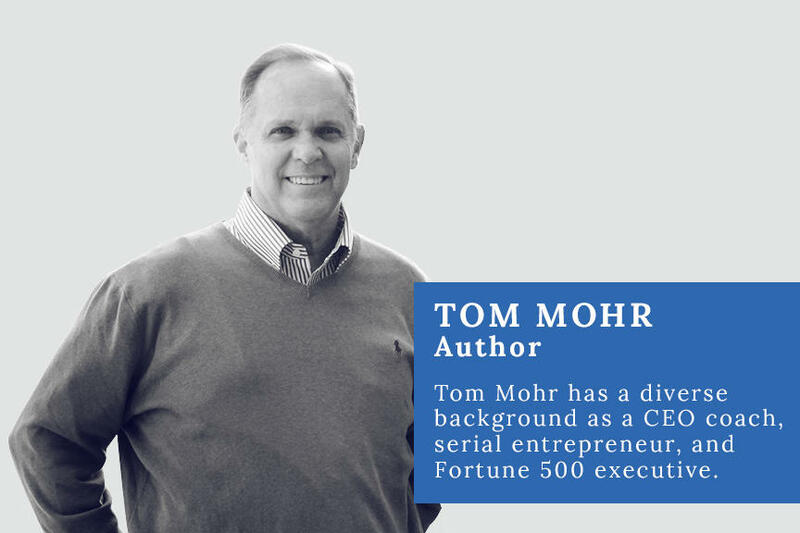 Mohr has been both a serial entrepreneur and a Fortune 500 executive. He co-founded and built Digital Air Strike from white board concept to $20M revenue and cash flow positive. He led $200M Knight Ridder Digital, a Fortune 500 subsidiary, almost doubling revenue during his tenure there. He has run a $300M P&L, has raised lots of VC money, bought and sold companies and participated on boards (including CareerBuilder, Cars.com, Apartments.com and ShopLocal). Mohr is the author of Scaling the Revenue Engine, People Design, and Funding & Exits. He is now writing his fourth book, Systems Design. Bruce Cleveland is an investor in Marketo, Engagio, C3IoT, Doximity and more. He is also the founder of the Traction Gap Institute. As his investment track record demonstrates, he is a foremost authority in emerging marketing and sales technologies. As a former top executive at both Oracle and Siebel Systems, he combines both operational and investor experiences, putting him at top of class in the VC world. "If your revenue engine needs more horsepower, Tom Mohr's book is for you. Scaling the Revenue Engine provides practical advice on how to build, implement and scale an effective revenue engine. If you want help on the journey of revenue acceleration, read this book." CEO Quest and Latham and Watkins invite you to Tom Mohr's book launch and networking event featuring Bruce Cleveland, Founding Partner, Wildcat Ventures. CEO Quest and Latham and Watkins invite you to Tom Mohr's book launch and networking event featuring Bruce Cleveland, Founding Partner, Wildcat Venture Partners.